The Pittsburgh Penguins were the 2012-13 Atlantic Division champions. 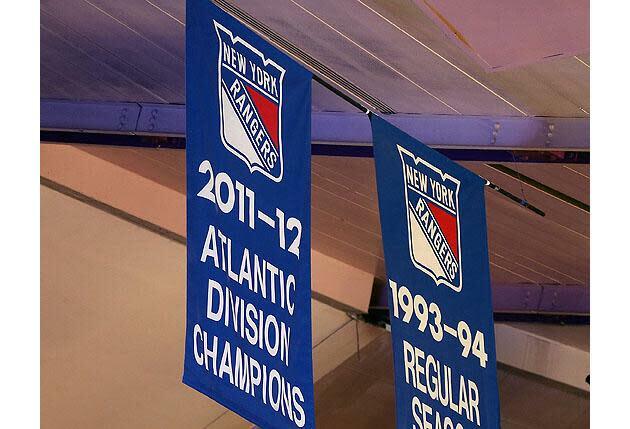 They can’t repeat that feat in 2013-14, because they’re no longer in the Atlantic Division. Not that there isn’t an Atlantic Division, because there is: One that spans from Toronto to Tampa Bay, an ocean-sized geographic spread. What was the Atlantic is now the Metropolitan. What was the Northeast is now the Atlantic. The Central and Pacific are holdovers from the previous alignment. R.I.P. Southeast and Northwest Division; the Washington Capitals and Vancouver Canucks shall miss you. From what I’ve been told, Commissioner Gary Bettman pushed for both the geographic names and specifically for the Metropolitan Division as a solution for a basic problem: How do you name a division that covers Canada to Florida? One thought: Keep the Atlantic the Atlantic and rename that Frankenstein’s monster-of-a-division as the Eastern Division. But that would have clashed with the conference name. So Metropolitan was seen as the way to go, with Atlantic being the catch-all geographic distinction for the other division. Thus begins the endless jokes about the division name, which has probably already been re-christened the "Metrosexual Division" by the rest of the NHL. For the record: We’d have loved a return to Patrick/Adams/Norris/Smythe. Or another quartet of modern hockey legends that the division names could honor. But Bettman’s been steadfastly against that idea since he helped change the division names about 20 years ago, and there wasn’t really an appetite for it among the teams. Why? Some good reasons, some petty. Would the Toronto Maple Leafs and Montreal Canadiens want a Bobby Orr Division banner hanging from their rafters? Or would the Philadelphia Flyers want a Mario Lemieux Division banner? What do you think about the Metropolitan Division? • Who were the luckiest and unluckiest teams of 2013?